Did you know that choosing the right floors can make your room appear bigger? Without even adding square footage, you can instantly transform your space into a more inviting, open space. If you are interested in accomplishing this look, we have four expert tips for you. Let’s take a look! In bedrooms, we recommend extending the carpet from wall to wall. Wall to wall flooring helps to create a natural flow throughout the room; otherwise, you may have an awkward “break,” and it can make the room feel smaller. For example, homeowners that use two different types of flooring: hardwood and carpet within their bedroom can accidentally create a smaller room visually by breaking up the space into two distinct areas. If you are not too keen on the idea of having only carpet in your bedroom, you may opt for an area rug. Area rugs can be tricky to master. The problem with using an area rug is that it cannot be too small. A lot of homeowners select too small of a rug and find their room unbalanced. To make sure you choose correctly, expert designers recommend buying a rug that is big enough to let all furniture pieces sit on top of it. If this cannot be accomplished, the next best thing is to have the front legs on top of the rug. If you need more guidance, one of our expert sales staff members would love to assist you. Color can play a significant factor in the visual size of your room. For your floors, designers recommend going for light colors to help make a more visually-appealing space. The light colors tend to reflect natural light thus opening up the space. This being said, you do not have to buy the lightest flooring in the showroom. A light beige or gray will do just fine. Pattern floors can be a little tricky. Typically, we hear that larger rooms can handle larger patterns and vice versa for smaller rooms. But, there are other factors to consider. First, you will want to take into consideration the amount of furniture inside your room. If the room is crammed with furniture, you may want to avoid a large pattern. Secondly, you will want to take into consideration that your flooring is a part of your overall decor. You should take into account everything else inside the room. See how everything blends before selecting a pattern flooring. Let us help you make your home look bigger with beautiful floors from Century Tile. Take a look at our online showroom or visit us in person for more information. We look forward to working with you. The Natural Way: In a large bucket, you will want to pour one quart of warm water with 1/2 teaspoon of clear, liquid dish detergent and one tablespoon of white vinegar. Place the stained clothing inside of the bucket and let it soak for 15 minutes. Rinse the garment off with water then hang it to dry. The Stubborn Stain: Taking a white sponge, you will want to blot the area with rubbing alcohol. Work your way from the outside of the stain towards the center of it. After you are done blotting, you will want to mix one quart of warm water with one tablespoon of an enzyme presoak product. Let the stained clothing sit inside the bucket for thirty minutes. Last Resort: If you still have a stain, your last resort is bleach. Before you wash the clothing piece with bleach, you want to read its label and make sure that you can use bleach with this type of fabric. If the label does not discourage the use of bleach, you can proceed with using it to clean the stain. Take a clean, white towel and dampen it with water. Apply a detergent solution (1/4 teaspoon of natural, clear dish detergent + 1 cup of warm water) on top of the stained area with your dampened towel. Let the detergent sit for five minutes. After five minutes, you can begin to blot the area with your damp cloth. After the coffee stain is removed, you will want to rinse the area off with water. Then you will want to take a few paper towels and lay them down on top of the damp area to dry it. If your coffee stain is still present, you can create a mixture containing hydrogen peroxide and ammonia. Apply this mixture on top of the stained area and place a sheet of plastic wrap on top of it. Place a weighted object on top of the plastic wrap to help it stay in place. Let this sit for two to three hours. After two to three hours, the stain should be removed. Take a dampened white towel and begin to blot the area. Dry the stained section by placing a few paper towels on top of the damp area. Once the stain is completely removed and the area is dried, you will want to spray white vinegar on top of the spot. 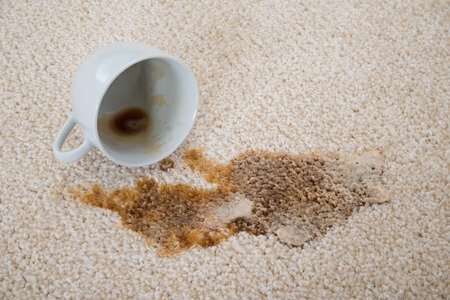 If you still have a coffee stain, you may want to call a professional carpet cleaning company to come and remove the stain. **Please be advised that these are general guidelines on how to remove a coffee stain from your carpet. Before removing a stain from your carpet, we always recommend checking the manufacturer’s website. You want to make sure that the products you use will not damage the carpet’s fibers. Now you can get back to enjoying another cup of delicious coffee. On the hunt for new wall to wall carpeting? Purchasing the right carpet involves so much more than just finding a style and color that you’re in love with. In fact, you’ll have to consider a number of important factors. We are your flooring experts, so no worries, we are here to help! In what room will this carpet be installed? Does the room receive heavy or light traffic? Will the carpet be installed near outdoor spaces? Will I be able to keep up with the required maintenance? The answers to these questions are essential because it helps you determine what fiber, color and texture carpet you should install. There are literally hundreds of thousands of carpets featuring different colors, patterns, and styles that makes the carpet selection process overwhelming. 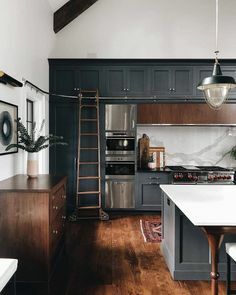 If you’re having trouble settling on a shade, you can narrow it done by selecting a shade that matches the overall mood and tone of the room it’s going to be installed in. Greens and lighter shades of blue can have a calming effect, while darker hues are great for masking inevitable. Warm tones such as red and gold will open up space. 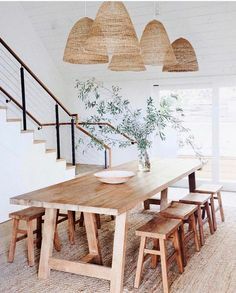 However, before you make the final decision be sure to take home a sample so that you can see how it will look in a specific room especially in natural light. You should be well informed of the maintenance a carpet will require before you make the decision to buy it. If you have children or pets you’ll want to steer clear from high-end carpets and fibers that are hard to clean. Instead, opt for carpets that are stain resistant. Highly textured rugs will conceal footprints and tracks from the vacuum cleaner. Found a carpet that you really like but you just can’t afford it? Well, even luxury carpet doesn’t have to cost you a fortune. Come see us. We will help you can find a carpet that fits your budget, lifestyle and that you’ll absolutely love for years to come! Extra! Extra! Read all about it! We are so excited to introduce our newest and most recently improved store. We can’t wait to see you there! For directions or product information please visit our website here. $66 Whole House Carpet Installation: Buy one room, two rooms or an entire house of brand new carpet and the installation in only $66! We have a variety of carpet choices like berbers, textures, friezes, patterns and so much more! $66 Labor Credit on Select Hard Surface Floors: For every 100 Sq. Ft. of Ceramic, Stone, Glass, Wood, Laminate, and Select Luxury Vinyl Tile purchased, you can receive $66 Labor Credit! For more sale details and information come visit us! The holidays are a Hurry in while this offer lasts and don’t forget to visit any Century Tile before these incredible offers are gone! Three days only… Don’t Miss Our Free Labor Credit Event starting July 27, 2013 through July 29, 2013! Celebrate our Special Offers at all twelve Century Tile locations. 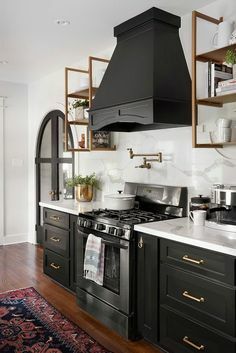 Do a Backsplash Installation and get $25 minimum off on labor. Buy 500 sq. ft. – get a $500 credit…buy 1,000 sq. ft. – get a $1000 credit. Find deals of up to 20% off Quickstep laminate flooring or 10% off Century Distinctive hardwood or laminate flooring (solid & engineered hardwood flooring). Amazing 10% off on ALL Dal-Tile products – stocked or special order! Special 18 month no-interest financing available! Don’t delay – these offers are only good through July 29th at any Century Tile location! *For more details, visit any of our 12 locations.